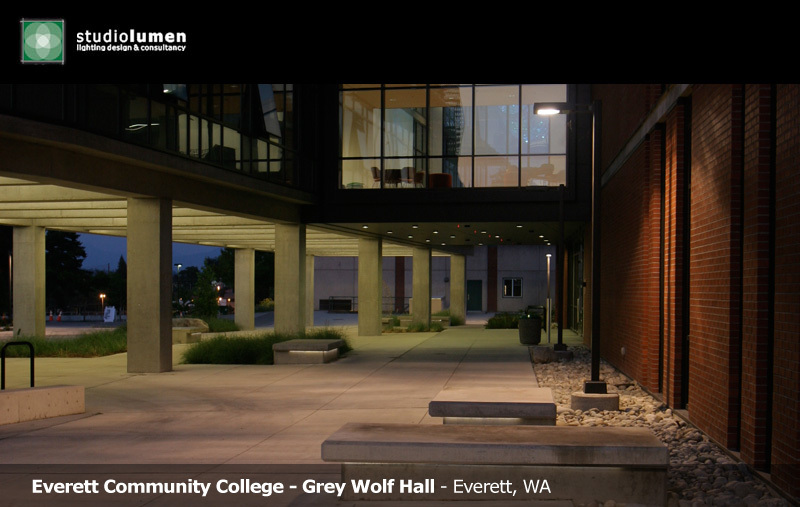 Grey Wolf Hall's 77,000 square foot building is home to the humanities, social sciences and communications programs. 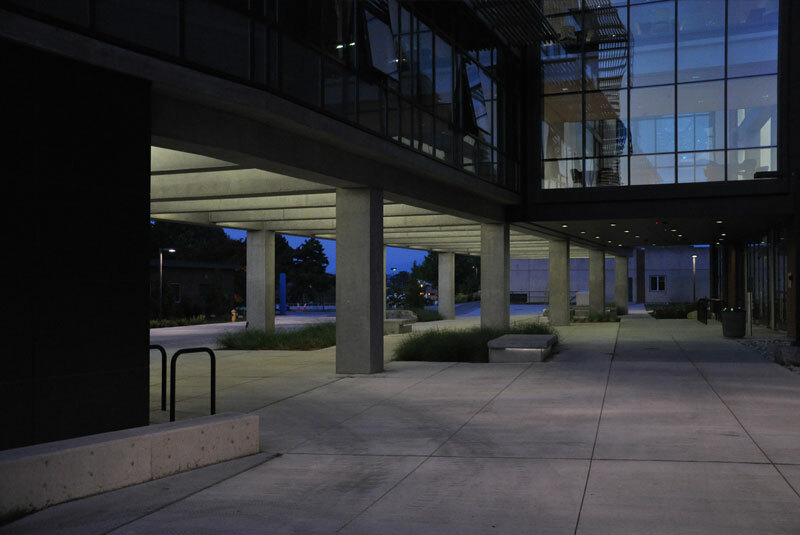 In addition to faculty offices and classrooms, the facility houses the University Center of North Puget sound, which partners EvCC with six universities - Western Washington University, Central Washington University, Washington State University, Eastern Washington University, The Evergreen State College and Hope International University. 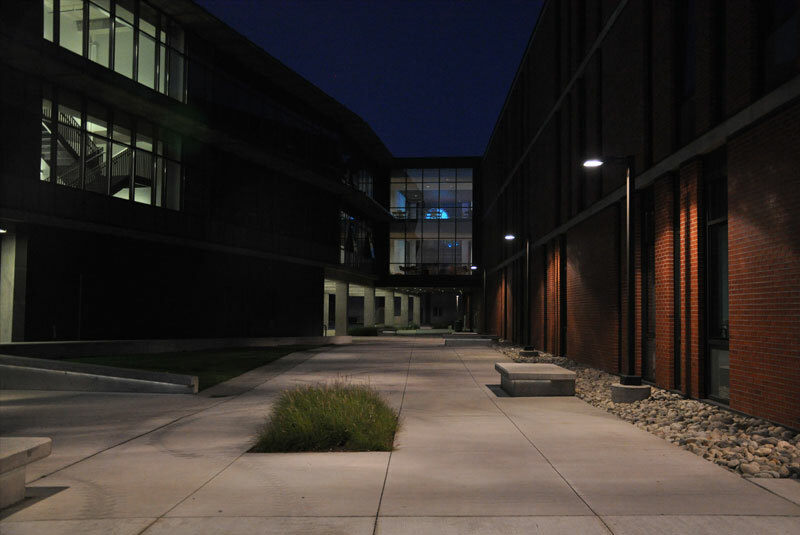 The South wing supports 130 classes and 2,266 students per quarter. The North wing houses faculty offices, meeting facilities and administrative offices. 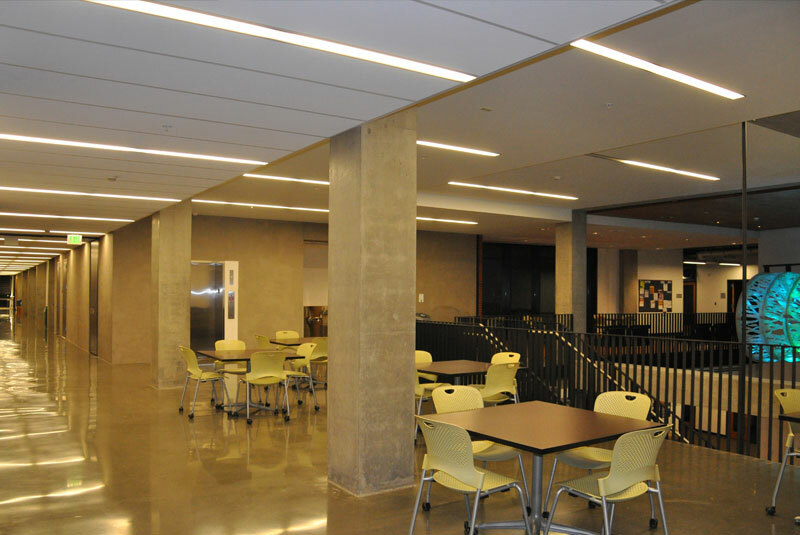 Each office is outfitted with a dual switched linear fluorescent pendant with multi-layered lighting control to suit specific end user needs and light level requirements. 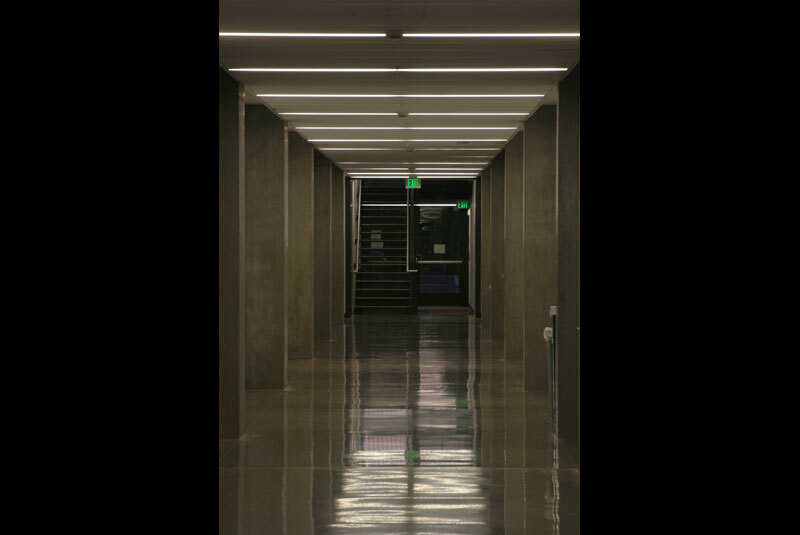 Recessed linear fluorescent fixtures create a linear pattern throughout the public spaces. 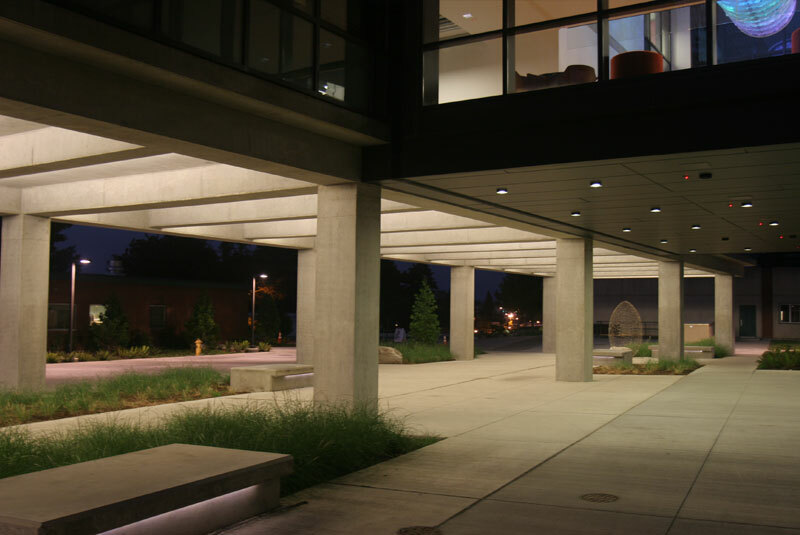 Ceramic metal halide accent fixtures create sparkle and points of interest. 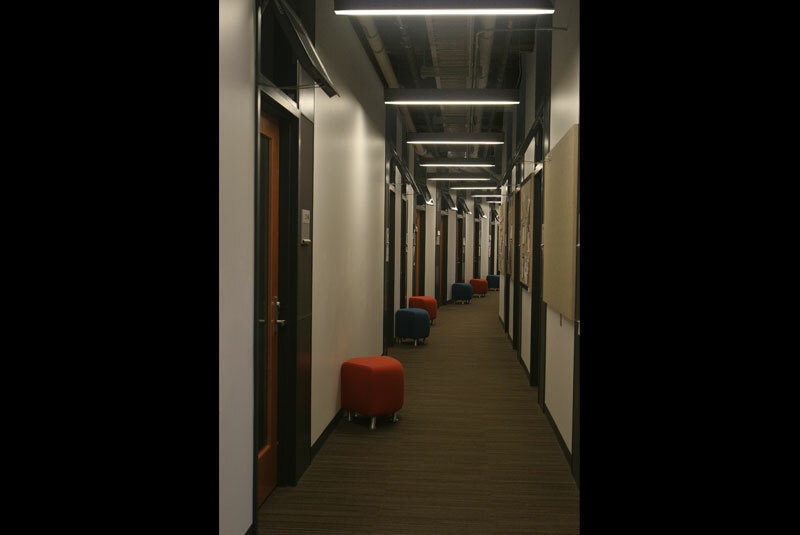 Lamping and fixture selection achieve an energy conscious design to meet strict energy code requirements. 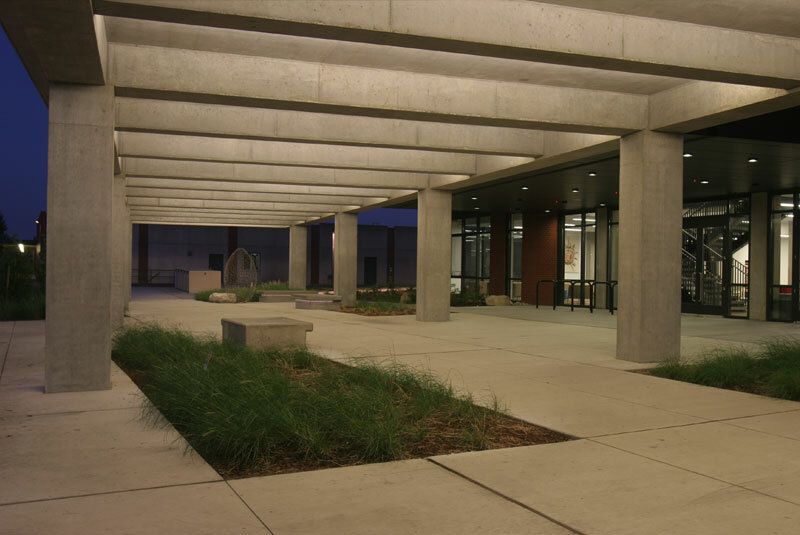 Grey Wolf Hall is EvCC's first 'green' building and achieved the U.S. Green Building Council's Leadership in Energy and Environmental Design (LEED) Silver Rating.